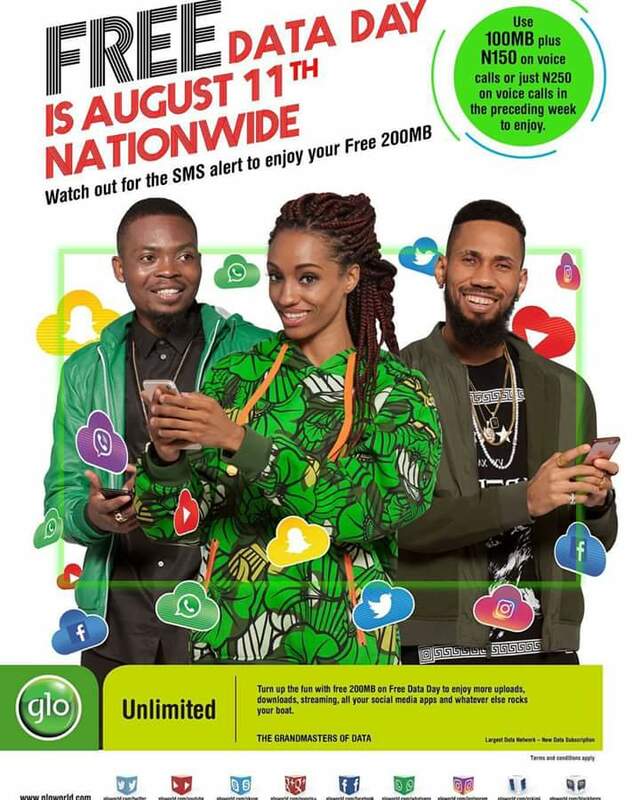 Glo recently declared 11th of August as a "Free data day" which can be activated by exisiting or new users irregardless of their tariff plan. Browsing is one of the important tasks a smartphone user performs because it keeps everyone connected to the internet. 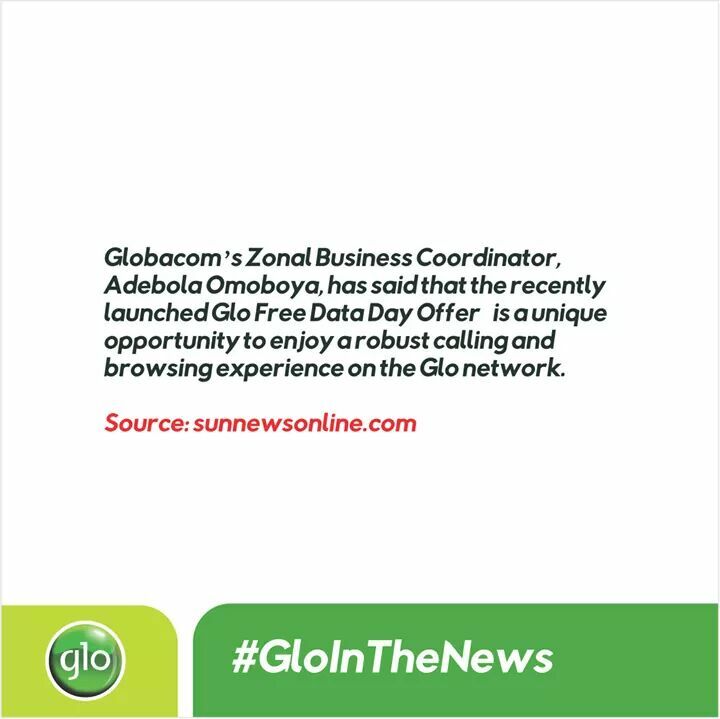 Although Glo network is very poor in some location in the country Nigeria would this be good news to some Glo users or it totally waste. 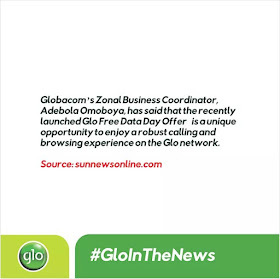 Even before now we still have the Glo free browsing cheat working on some of our popular vpn such as AnonyTun Vpn, Codez Vpn, Psiphon Vpn, Tweakware Vpn, Xp Psiphon and even Stark Vpn but some many just don't like the poor service Glo provides. 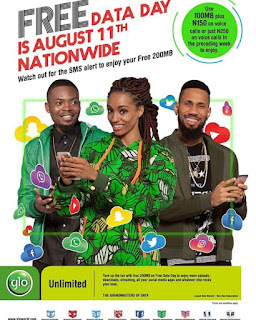 But right now we are talking about free data day for Glo users, this to say all users of Glo network are entitled to enjoy the "Free Data Day" offer only when they recharge a minimum of N250 or above within 7 days. Another way to get eligible for the offer is by using 100MB data and N150 on calls within 7 days. 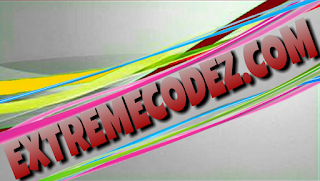 The Free data can be used on PC, laptop, phone, modem, iOS devices and among others. No fair policies apply. Do you think this awoof is okay? Is Glo network good in your area? 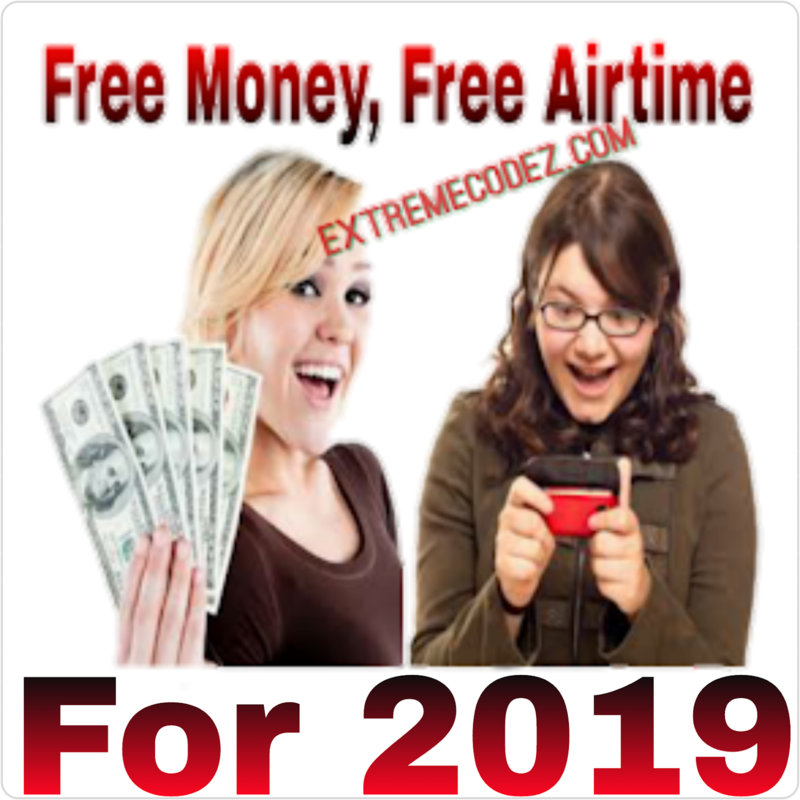 Will you buy Glo sim even if you don't have? What do you really think about the Glo free data day? You can use the comment box and don't forget to let your friends know about this awoof so that they can also enjoy it as well.